Homes for sale in Redfields range from the high $200’s for the attached homes and from the mid $300’s for the single family homes. 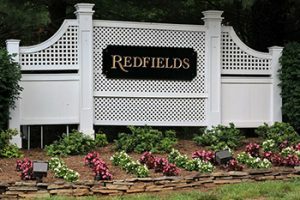 Located just a few miles south of Charlottesville and minutes from Downtown, UVA, and Interstate 64, Redfields real estate options include single family homes and some attached manor homes. This 275-acre neighborhood features a community pool and pavilion, playground, walking trails, and a lake. Redfields homes offer views of the Albemarle County countryside and the Ragged Mountains. Homes were built by numerous area builders.